The First Dedicated Strength Gym in Cary, NC. 24/7 smartphone access to a climate controlled facility with high end competition grade equipment. The first USA Powerlifting Silver Regional Training Center in the state of North Carolina. Clean and never crowded. We also offer coaching, programming, and movement correction for athletes of all types. 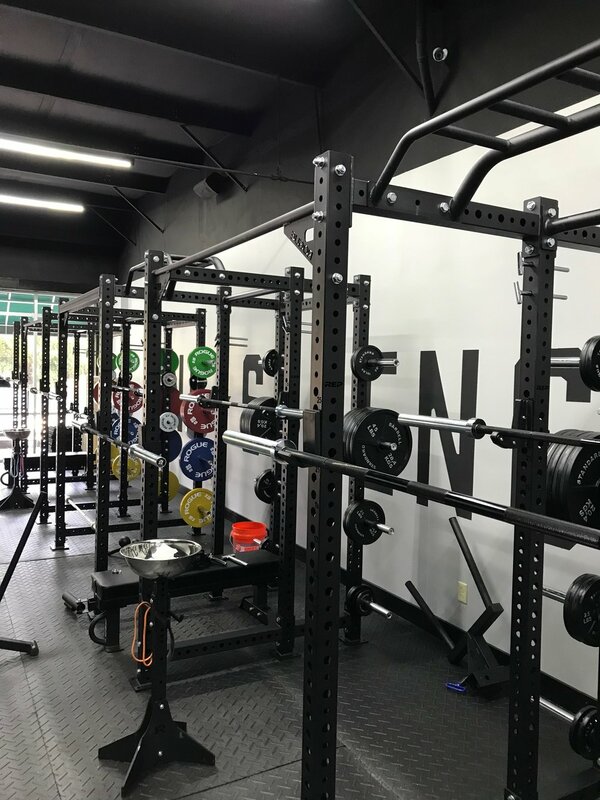 If you're into lifting and need a place to work out, or have never lifted before and are ready to experience the benefits of strength, you're in the right place. The gym is unstaffed and members only. You can't just show up and walk in if you're not a member. If you would like to see the gym, schedule a tour or drop-in. It's one thing to know how to do something, and another entirely to actually do it. 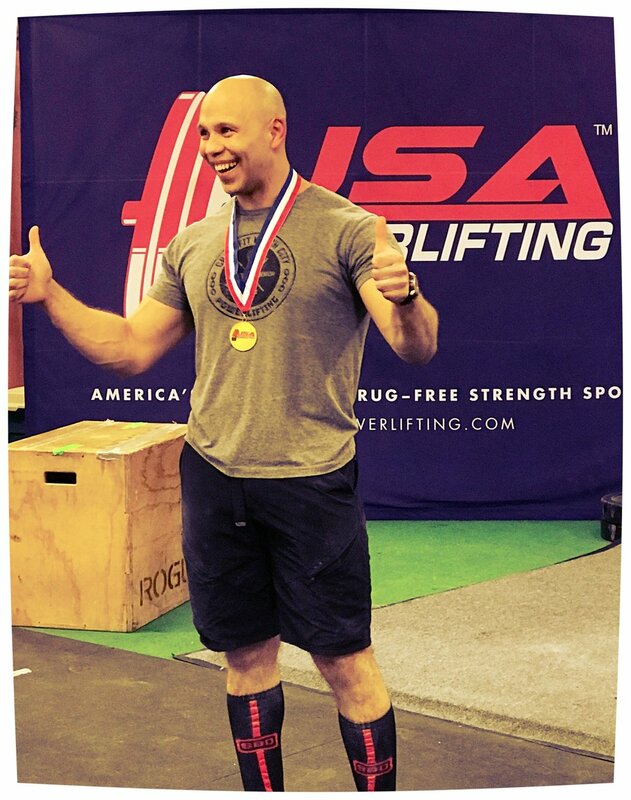 Rob is an experienced athlete himself and his programs have led to podiums, national competition, and state records. Rob was overweight all throughout childhood. When he was 19 he dedicated himself to fitness and weight loss and has been helping others as a coach since 2007. He first opened CrossFit Watch City, a successful strength-focused gym in Boston that worked closely with USA Powerlifting MA. He then moved to Cary and started NC Strength to focus on all the benefits strength has to offer. He has competed and coached (drug-free) powerlifters at the national level and worked with D1 Athletic teams like North Eastern Swimming and Diving. He's also competed in swimming, lacrosse, mountain biking, running, weightlifting, CrossFit, and OCR. With a a deep understanding of sport communication and coaching psychology, he delivers results with a patience and clarity that continually finds clients surprising themselves. I wanted to thank you for completely changing pretty much everything about my bench press! I have done two workouts since our session last week and have enjoyed the changes. The best result, very little pain from that aggravated right arm. Before our session, I mentioned anything over 240 lbs was hit and miss. 242.5 was my enemy. Not today! I warmed up, 135 x 5, 185 x 3, 225 x 2 and then 245 x 1. No problem, good speed and NO PAIN!!! I also want to say how much I enjoyed your teaching style. Your drawings helped, you let me ask questions and gave me space to work it out during the session. I will be back. My next goal it to set a new M1b American Record in December. The current one is 120 kg (264.6 lbs). I have hit 260 lbs twice. Based on how good 245 felt today, I think with some smart programming, and your keen eye, I could break that record. I have hope that it’s possible now.